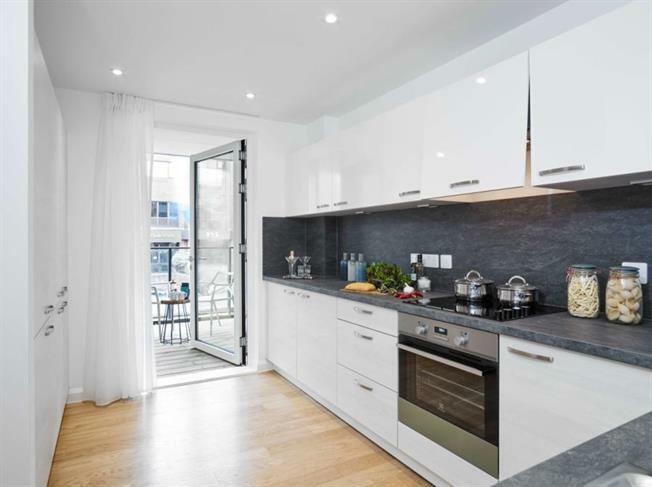 2 Bedroom Flat For Sale in London for Asking Price £238,750. This two bedroom apartment is located on the 2nd floor and offers a balcony accessed from both the master bedroom and the reception room. The kitchen is fully fitted with integrated appliances. There is an ensuite to the master bedroom, and a family bathroom. Trinity Square is a development of apartments in North Finchley with a thriving community on its doorstep, and easy access to everything that London has to offer - whether for work or for leisure. Available on a shared ownership basis, the apartments have been designed to deliver style, convenience and quality in a highly desirable location, with great shopping, tempting bars and restaurants, glorious parks and a world of other options all close by. door. Finchley itself is a sought-after area with a huge range of shopping, business and leisure options of its own, from familiar high street names including Waitrose, Boots, Sainsbury's and Marks & Spencer Simply Food, to the quirky boutiques and independent bars and cafes that lend the area real character.